We supply only #1 Grade Granite. We supply many different colours of stone, however, our most popular color is BLACK. Why black? Besides it's obvious beauty, it is an extremely hard granite. Black granite take up to 2 - 3 times longer to sandblast than other materials. 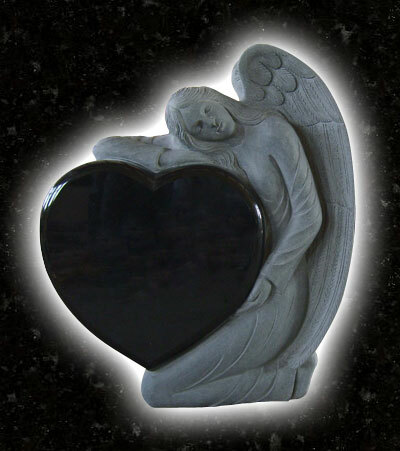 Black granite also provides the best contrast for your memorial. Your family will be able to read this stone for years. In order to provide better, more cost effective memorials to our customes, we stock tons of stone - guaranteeing competitive price and selection!